If it was not already obvious, we need water to survive. And not just in a I need these Adele concert tickets to live or I’m going to die if I don’t get my hands on a tub of pistachio ice cream stat. While these are certainly worthy desires, unlike them, we would actually die if we did not constantly hydrate our bodies with some water. For many of us, it’s as simple as walking ten feet to our fridge to grab a bottle of water or replace our Brita water system, but for so many people around the world, access to clean water is not always a a viable option, and if it is, it usually involves walking tens of miles to the nearest clean water site. The truth of the matter is that water does not just play a role in our hydration needs, but ends up affecting so much more of our daily lives than we even think about. According to generosity.org without access to clean water, one is at risk of contracting more diseases and illnesses, one cannot properly sanitize themselves, and one has to spend more time walking long distances to find clean water which leads children to have to miss school, have less time for work and play, and increases girls’ chances of being sexually assaulted. And this is not just a couple hundred thousand people who are affected by this inequality; there are currently 663 million people who do not have access to clean water. Let that sink in, 663 million people. The even scarier part is–this crisis is killing more people than war, AIDS, and famine combined. What is the mission of Generosity Water? Generous To Your Health – We produce the highest quality alkaline water with a pH balance of 10. 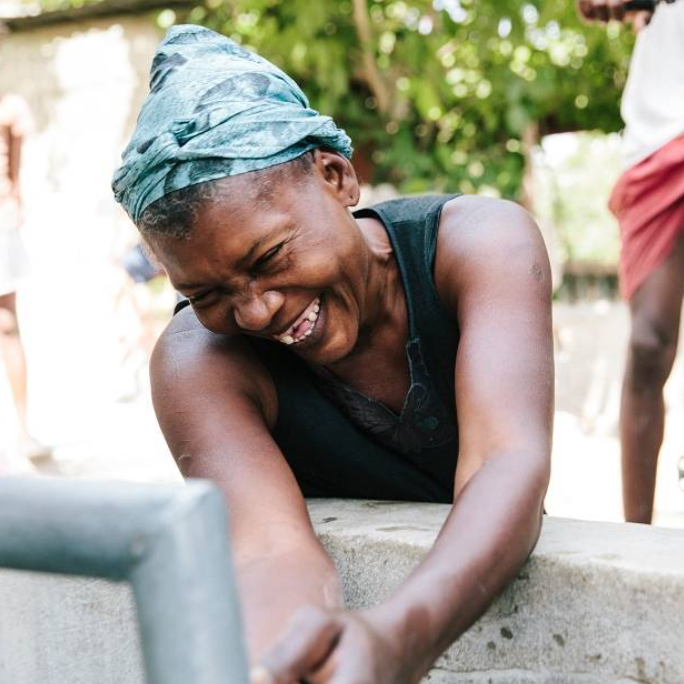 Generous To People – For every bottle purchased, we give clean water to two people for one month. 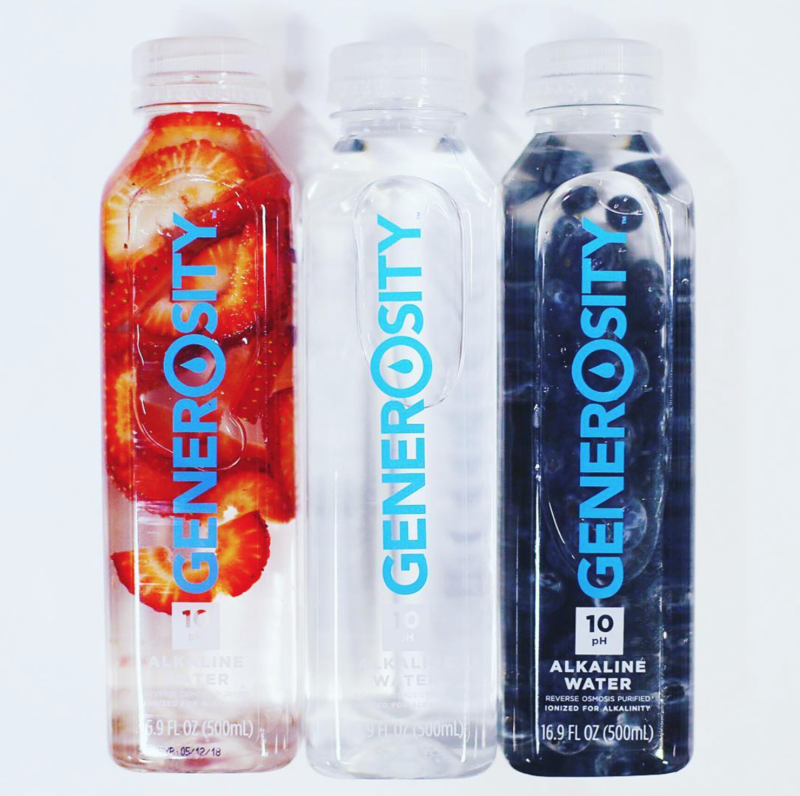 What makes Generosity Water’s alkaline water different than a normal bottle of water? Our alkalinity is sourced from natural and active ionic calcium ingredients. Because our water is made from active ingredients, it has a more beneficial health impact on the body and is shelf stable, as opposed to other less expensive and lower quality competitors. Our alkaline water differs because of it’s proprietary active minerals, it causes the body to increase its ability to absorb h20 completely, while neutralizing acidity in the body. 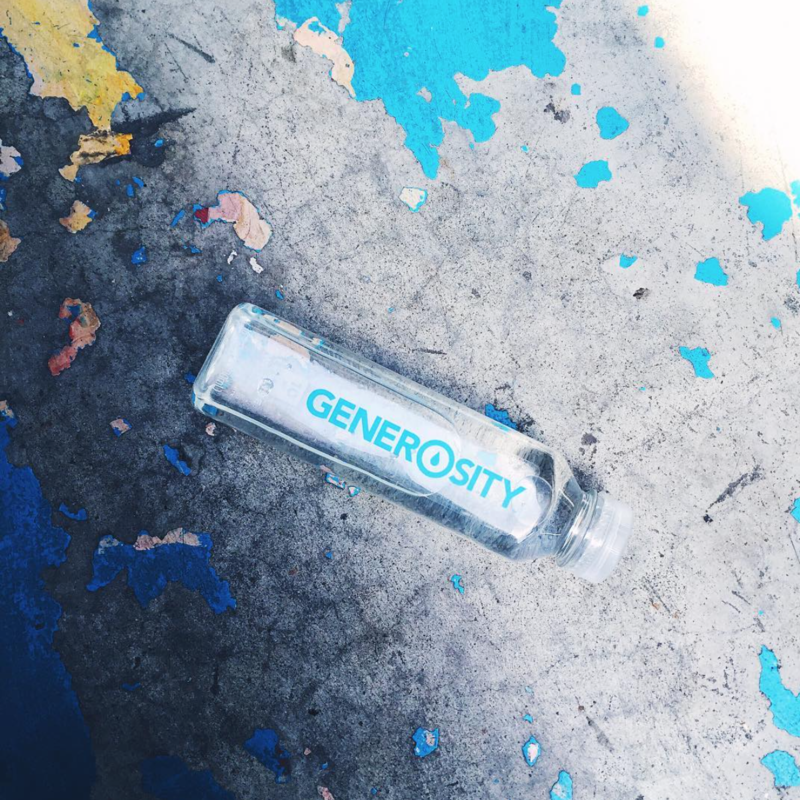 What impact does purchasing Generosity Water make? For every bottle purchased, we give two people clean water for one month. Supporters and consumers can scan the QR code on the label to see the exact well that the bottle helped fund. They’ll be able to see GPS coordinates, pictures of the well project and comments from the community that their purchase helped fund. Where can one purchase Generosity Water? As we continue to become available in more stores/states/regions, check our website for a soon to be released store finder. In conjunction with the for-profit Generosity Water, there is the non-profit Generosity.org that is also helping to combat the water crisis in developing countries. Aside from purchasing water, what other options do you offer for people to get involved in solving the water crisis? In the year 2016, how important do you think it is for businesses to implement a “for-purpose” business model? 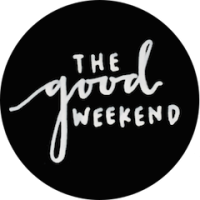 We think it is incredibly important! The “for-purpose” business model is not only highly beneficial for the impact the business is making with their intended cause, but there are plenty of studies showing how consumers are gravitating toward businesses that value more than just their bottom-lines. Consumers are becoming more educated, aware and brand loyal to products/services with a cause. This trend is growing steadily, so it sounds like it’s in a company’s best interest to implement some type of CSR into their model. Be the change you wish to see in the world. Buy a bottle and save a life.